Hospital Geral Dr. César Cals is a hospital complex of recognized excellence and the oldest unit of the State Health System in Ceará, Brazil. 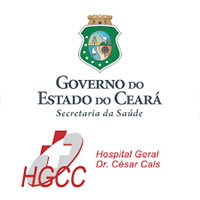 HGCC is a tertiary hospital of high complexity and teaching, recognized by Ministry of Education and Culture and the Ministry of Health as reference in Ceará in the areas of Internal Medicine, Surgery, Gynecology, Obstetrics and Neonatology. The HGCC services include various areas of health through 27 medical specialties. Currently, there are 1705 employees, are conducted about 400 deliveries per month, nearly 20,000 tests, 5,000 outpatient consultations, 350 surgeries and about 1,000 hospitalizations.